Food the soul: When you believe only half of what you hear... you try to be clever. But when know which half to believe... you are brilliant. Finally, Brownbuds' first ever music video is ready for viewing. The members are hoping that you'll enjoy watching it as much as they enjoyed making it for their fans on youtube and imeem. Or you may check it at the Brownbuds official blog at http://brownbuds.blogspot.com. Feliz complea�os to Gov. Erico Aumentado, May 18. You are very special and you deserve the best. Everyone wishes you a wonderful life filled with love and happiness. Warm greetings to the Buhion clan members! From General Santos City to Compostela Valley, clan members came in to meet their relatives in Bohol. It�s a high time that graduates of the University of Bohol-Day High School Batch �98 will set their first reunion next year. For details, please contact: Sandy: 0918-2322821; De Ers: 0915-6079011, Mejkal: 0918-2616835. Welcome back Rebecca �Bikay� Lusterio! She�s here for a short summer vacation (and to attend Balicasag�s fiesta today). Bikay is Bohol�s pride as she brought honor to our province after winning the best child actress and best supporting actress awards in two movies directed and produced by Cesar Montano. Bikay whose life story was featured on national broadsheets and in TV networks is a scholar (she�s a 3rd year college Masscom student) of the Colegio de San Juan de Letran. Bikay has a cameo appearance of a music video for the Bohol Youth Week next week, May 26-31. It is produced by the Sangguniang Kabataan (SK) provincial federation headed by Jane Censoria Cajes. Bikay and the group (with Carolette de Veyra, Oscar Ted Durban Avanzado) went to the unparalleled beautiful Anda for the location shooting. Here�s a good news. A Boholana attorney was recently admitted to the United States Bar of California. Lawyer Alissa Ann T. Lim, passed the California State bar examinations administered on February 26, 27, 28 and March 8 in California, USA. The bar results was announced yesterday. Coming from a family of lawyers, Lim attained her law degree, Juris Doctor (J.D. ), from the Ateneo de Manila University. The Ateneo Law School confers the J.D. degree to its law graduates, which requires the completion of an apprenticeship program, additional elective subjects and thesis defense preparation � an enhancement of the Bachelor of Laws program. Lim, who is a daughter of Atty. Alexander Lim and Veronica Elisa Trabajo-Lim, was a consistent dean�s lister at the Ateneo School of Law from 2002 to 2005. She ranked 14th in her class at the Ateneo on finishing her law studies. A graduate of Bohol Wisdom School (Elementary-1992) and St. Theresa�s College in Cebu City (High School�1996), Lim holds a degree in Economics from the University of Asia and the Pacific. During her apprenticeship, Lim was legal researcher at the Quezon City Regional Trial Court (RTC) Branch 91 from April to May 2004 and was also a volunteer at the Ateneo Law School Central Bar Operations. After passing the bar in 2005, she was admitted as an associate at the Trabajo-Lim Law Offices, joining his father, brother lawyers Aleck Francis T. Lim and her aunt lawyer Myrna Trabajo-Pagsuberon. This year�s edition of the Mutya sa Trinidad beauty pageant would likely be the biggest and grandest Bohol beauties seen on stage after it was successfully held on May 12. I could not believe that a far flung town of Trinidad has girls who have beauty and brains! Organized by the Trinidad Sangguniang Kabataan (SK) federation headed by Joan Cajes (with the support of Bohol�s active mayor Judith del Rosario-Cajes and private secretary Manuel Ferdinand de Erio, Ella, Sir James, Don Don, Nicolo, Maxie�known to many as the Dreamgirls of Trinidad), the contest had 17 candidates from the different barangays. The production number wowed the crowd as the girls gave justice to Korean singer Coolapica�s music. The pageant became spectacular with the appearances of RJ Jimenez (if you�re watching Pinoy Dream Academy, there was a developing �love team� in the academy that of Yeng Constantino and RJ) and child actress and singer Mika. The pageant had distinguished judges composed of Miss Tagbilaran and information officer Fiel Angeli Araoarao-Gabin, fashion diva and Guru Maximiel Tallo and journalist Leo P. Udtohan. Madeline Nuera who represented Kauswagan was declared 4th RU, Rodeline Catapang of La Victoria was adjudged 3rd RU, Tagum Sur bet Violeta Dacoylo was 2nd RU, Madelyn Virtudazo of Hinlayagan Ilaya was 1st RU; and a true embodiment of brains and beauty, Maria Cielo Angelie Cajes who represented Tagum Sur won the most coveted crown. 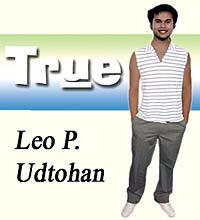 "Mutya sa Trinidad is a celebration of womanhood,� said Joan Cajes. Philippines is a country of beauty pageants. It is an anywhere, anytime event. A town fiesta is not complete without a beauty contest. It is the celebration's highlight. Beauty contests such as Mutya sa Trinidad today have become a respectable entertainment with a noble goal. Beyond spectacle and grandiosity, there is a decent purpose. A well-meaning candidate will spontaneously speak from her heart, because she knows, she is joining a hearty cause. The golden anniversary is one of the most celebrated wedding anniversaries. And rightly so! Spending half a century in love with one person is a wonderful statement about the gift of married life. Former Bohol Governor , Atty. David B. Tirol and his ever lovely wife, provincial board member Dr. Amalia Reyes-Tirol, celebrated their 50th wedding anniversary last May 10, 2008 in Ubay, Bohol and on May 11, 2008 in Tagbilaran City. It was indeed true love for Atty. Tirol that he and his family went to Ubay, the hometown of then Miss Amalia Maboloc Reyes, seven (7) times to ask the hand of the beautiful Ubay lass into marriage. This was also during the time when marriage of couples with different religions was a still a very big issue. When the Reyes family finally agreed to the marriage proposal, the wedding was arranged. However, the marriage was not just sealed the usual way. Atty. David B. Tirol and Dr. Amalia R. Tirol actually got married three times (Beat that!). First was a civil wedding rights on April 28, 1958 then on May 11, 1958, in an early morning Catholic church wedding in Ubay, Bohol and followed by a late afternoon wedding ceremony held at the then Graham Memorial Church (now Graham-Leopando-Belarmino-Tirol Memorial Church) in the Tirol compound in Tagbilaran City. To re-enact what transpired fifty years ago, the Tirol children, lead by the eldest, Dr. Mutya Kismet Tirol-Macuno, prepared a double grand wedding celebrations. In the Ubay celebration, held a day earlier on May 10, 2008, invited guests were mostly relatives of Dr. Amalia Reyes-Tirol, public officials of Ubay and its 42 barangays, municipal mayors and vice mayors of the 2nd district of Bohol, provincial officials of Bohol, faculty and staff of Bohol Northern Star College, and friends. The wedding ceremony was held in the afternoon at the Sto. Ni�o Church in Ubay and reception (prepared for 1,000 persons) followed at the President Magsaysay Center. The ceremony was officiated by Msgr. Margarito Gonzaga, who also officiated their wedding fifty years ago. Close friends of the Tirols stood as principal sponsors. They were Gov. and Mrs. Erico B. Aumentado, Former Gov. and Mrs. Rolando Butalid, Former Gov. Gelacio Gementiza (of Davao del Norte), Mrs. Daday Reyes, and Mr. and Mrs. Alex Gaviola (representing the family of the late Justice Ramon Gaviola). The secondary sponsors were Jovencio M. Reyes and Mrs. Araceli Reyes (cord), and for the veil, Martin Reyes and Maxilinde Reyes. During the reception, guests were served with sumptuous foods prepared by Cainget Fish Grill and Restaurant (partly owned by Dr. Macuno) and entertained by the Sidlak Dancers of Bohol Northern Star College (where Dr. Amalia Tirol is school president). A huge five-layer gold-colored wedding cake, adorned with fresh flowers, was enjoyed by everyone. Guests were also served with slices of the freshly roasted calf (from the D & A Tirol Invisible ranch). May 11, 2008 was another big event at the Tirol compound. The renewal of vows at the Graham-Leopando-Belarmino-Tirol Memorial Church, was officiated by brothers-in-law of Atty. Tirol, Revs. Daniel Bernaldez and Victor Casabal. The Tirol family members, Belarmino family relatives (from Cebu), some faculty and staff of the University of Bohol (where Atty. Tirol is president) and friends were present to witness the affair. The church was beautiful decorated with fresh flowers (liliums, gerberas, Malaysian mums, carnations, dendrubiums) which were flown in from Manila. Ms. Melita Jala Andoy who is a member of the World Flower Council International (Philippines) meticulously did the pretty flowers arrangements both in Ubay and Tagbilaran affairs. Dinner reception followed at the residences of Atty. and Mrs. David B. Tirol and Capt. and Dr. Marlon Macuno (nee Dr. Mutya Kismet Tirol-Macuno). Sumptuous foods, served in four buffet tables, for at least 500 guests were prepared by Jj�s Seafood Village. A roasted calf was also made available. Thirty one wedding cakes (representing the number of grandchildren) were also specially made by Inday Ramirez of Ramirez Cakes and Pastries. The design of the specially made individual cakes was chosen by Dr. Macuno herself, after searching in the Internet for the appropriate cake design. The cakes in assorted flavors: ube, orange, mocha, strawberry, pineapple, chocomarble, vanilla and special chiffon were decorated with almond slivers (specially flown in from Australia and the US) and slices of fresh mangoes. Everyone also got their slice of the cake as each table was served with a layer of cake. The guests were also entertained by the cultural dances performed by the University of Bohol Dance Troupe. The forty five (45) very talented members of the Loboc Ambassador Youth Band, awed Atty. and Mrs. David B. Tirol and guests with their spectacular musical performance. Atty. and Mrs. David B. Tirol are so happy that they are celebrating this very special moment of their lives with the presence of all their eleven children and thirty grandchildren and soon to come great-grand-child. The eldest, Dr. Mutya Kismet Tirol-Macuno, married to Capt. Marlon Macuno and son Miguel Carlos. David Rey R. Tirol, based in Tagbilaran City with daughter Hannah and whose wife Josephine Jabinez and other children Ryan Josuah, Joseph Rey, Raja flew in from Brisbane , Australia , for the occasion. Vote now and win a trip to amazing Antarctica! Vote for your favorite National Geographic program and you and a partner could be on the trip of a lifetime journeying across the splendor of Antarctica. With nearly 24 hours of daylight at that time of year, you will enjoy a breath-taking view of Antarctica�s incredible icebergs, majestic mountain ranges and stunning glaciers. During the flight, expert Antarctic expeditioners will share their personal experiences on living and working on the coldest continent in the world. You will also get to see and hear, via video screenings and live radio link-ups, from scientists on the research bases. A cockpit-mounted camera will give you a pilot's eye view of the entire flight including take-off and landing. Don�t miss this unique opportunity to experience amazing Antarctica! 10 Lucky Voters Stand a Chance to Win a National Geographic Waterproof 35MM camera. Capture your outdoor adventures... even underwater! The National Geographic Waterproof Camera is an ideal 35mm camera for the aspiring explorer. Take shots of the extraordinary marine life on your next snorkeling adventure or remove the detachable waterproof casing when you're back on the beach and you'll be ready to shoot the sunset. Waterproof up to 3 metres, the National Geographic Waterproof Camera features a focus-free 28 mm, f9.0 lens with shutter speeds up to 1/125 second, which means you won't have to worry about missing out on any great shots while trying to focus. Visit www.ngcasia.com/top30 or http://top30.ngcasia.com/. Bohol is an island-province located at the heart of Central Visayas. Its capital is Tagbilaran city, and it is the 10th largest island in the country. Join new host Rovilson Fernandez (of Amazing Race Asia Season 2 and Maxim executive editor) in the all-new season of �Ang Pinaka� this Sunday, May 18, at 6pm on QTV 11 (channel 24 on Sky and Home cable, channel 15 on Destiny cable, and channel 19 on Sun cable). Rovi�s visit to Bohol is his fourth time. How do you find Bohol? Bohol has always been one of my favorite destinations when I look for an all-around vacation. Not only do I get a lot of adventure in Bohol -- from diving in world-class spots like Balicasag and its surrounding areas, spelunking in their cave system and kayaking their mighty rivers but you get to completely unwind and relax in some of the best beaches and waterfront property. I'm quite impressed with how Bohol has embraced and preserved their heritage as well. And the best part? Their rich and storied past is turning into profit through education and tourism. For a history buff like me, I can truly appreciate and applaud their efforts. Another aspect I like about Bohol is how they are tackling the issue of the environment NOW. With leaders like Holger Horn who are spearheading this effort, Bohol and its precious ecosystem will be around for generations to appreciate. What are the best places you�d like to visit (including Bohol)? The best places I�d like to visit are usually in the country. I'm a big fan of Old Manila. The rich history of Intramuros always fascinates me no matter how many times I walk the museums. Also Corregidor Island for its modern historical significance is always a treat for citizens of the world and not just Pinoys. And for ALL ages. Traveling up NORTH the cities like La Union, Sagada, Dagupan, Baguio and Pagudpud is always a favorite, especially road trips. The National Highway has made huge strides in safety and reliability and offers a first hand look at our gorgeous country. Drive with the window down in the province and feel that wind in your face! spend a day in. I was very impressed with The Bohol Bee Farm. Its a fantastic retreat for those looking for a health-conscious, environmentally sound and educational experience. your comments on "True: Stronger as the years go by"